Video on Twitter is huge part of communicating what's happening. Combined with photography and text, Tweets tell rich, engaging stories that capture the highs and lows of events, breaking news, and the human experience. Today we're updating Twitter Kit for iOS to play these videos inline, to better nestle into your apps, complementing the stories you tell immersively, rather than pulling users’ attention away from the narrative. We're also including an API for you to control playback and volume programmatically, allowing you to activate muted video on scroll, or loop clips. 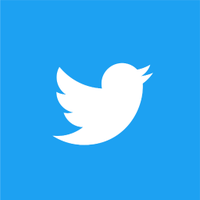 Get Twitter Kit 3.2.1 from CocoaPods, or download from the Twitter Developers site. Upgrade your apps today for a richer, more engaging video experience. Let us know your feedback in the forums.